When the geese gather in massive flocks, honking and bobbing along the edges of lakes and ponds preparing to head south, and when the evenings turn from warm to cool... This is the time of year when the hills, mountains and valleys of Central Leatherstocking Region lose the green and put on their vibrant reds, deep purples, pumpkin oranges and incredible yellows! 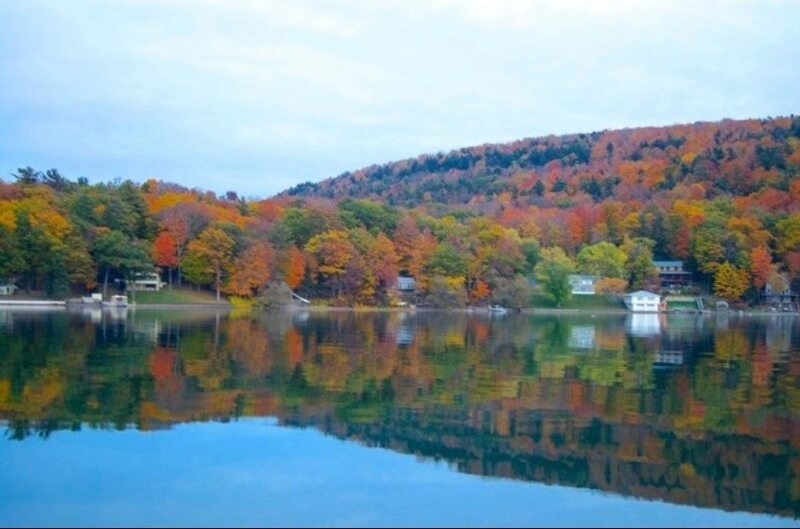 Many people find autumn to be their favorite time to visit Cooperstown. With the baseball crowds gone, life in town returns to its authentic self - a bit slower and quieter but much more colorful! Leaf-peeping is in full swing, and farm-stands offer up fat pumpkins and brightly colored bouquets of flowers. This is a perfect time to wander the village streets to see outstanding architecture and perfectly maintained homesteads along the country lanes. A favorite destination is The Fly Creek Cider Mill and there's no better time to visit than during apple-picking season. Watch their 100-year-old cider press in action and taste the freshest cider of your life! Kids will have a blast feeding the most unusual collection of fancy ducks on the mill pond. The mill features over 100 specialty items for you to sample and take home... a literal smorgasbord of appetizers, cheeses, fudges, and more! Fall festivals and special events at a number of nearby venues provide opportunity to listen to live outdoor concerts, attend horse shows, sheep-herding competitions and craft shows where you can see and appreciate (and maybe purchase) the fine works of a number of local talented artisans. The indoor Farmers' Market features live music while a host of local farmers and Amish families offer up the bounty of their hard work: goat cheeses, vegetables and flowers picked that very morning, maple syrup and candies, hand-woven products from nearby alpaca ranches, and so much more. It's a great place to meet and interact with very friendly folk! Take a scenic boat tour along the shores of Otsego, and spend a few hours poking around in one of the area's antique shops and barns. You'll also enjoy alfresco dining at the edge of the lake or along the sidewalks of Main Street. Many restaurants prepare dishes with locally grown products. 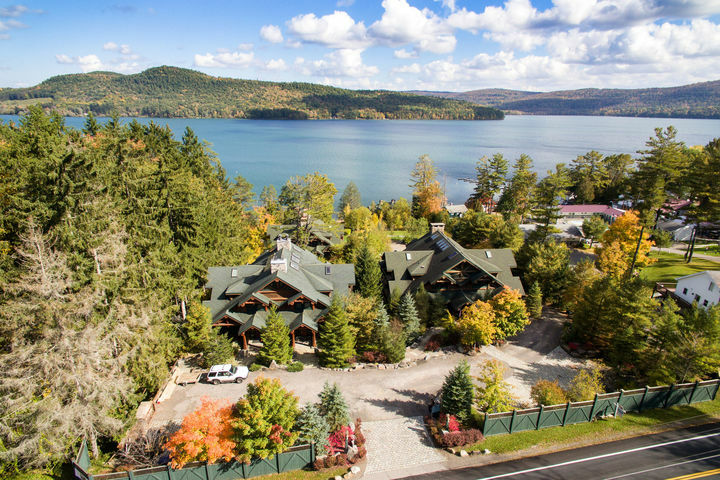 This is the time to experience the real Cooperstown, widely regarded as "America's Most Perfect Village". 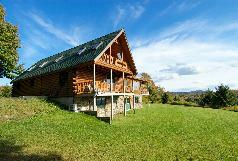 And there is no better accommodation for you and your family than one of our great lodges! Authentic, luxurious and spacious - so much better than hotel or motel rooms. Fireplaces to snuggle in front of, great rooms for great gatherings and kitchens so spectacular you'll actually want to cook! Choose your lodge early as our homes have developed a strong reputation and availability becomes scarce months in advance!